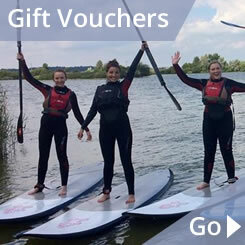 Get your children really into their watersports by booking them onto our Wednesday Clubs. 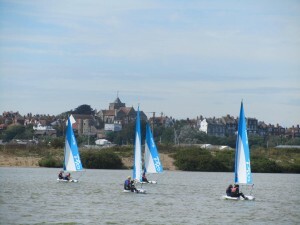 They are instructive, fun and a great way to spend time on the water in their chosen activity. For those who love windsurfing and sailing there is the option to book onto both sessions and stay the whole day with sailing in the morning and windsurfing in the afternoon. 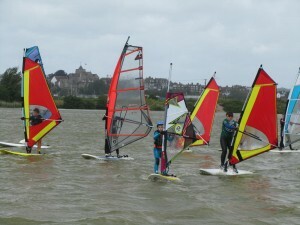 The two hour Wednesday Club has been set up to enable children to progress in windsurfing and sailing, after they have done their Stage 1 course, at an affordable price. An instructor is on the water with them at all times teaching new techniques and making the sessions lots of fun. All equipment and wetsuit are provided apart from footwear so children need to bring old trainers or wetsuit boots.